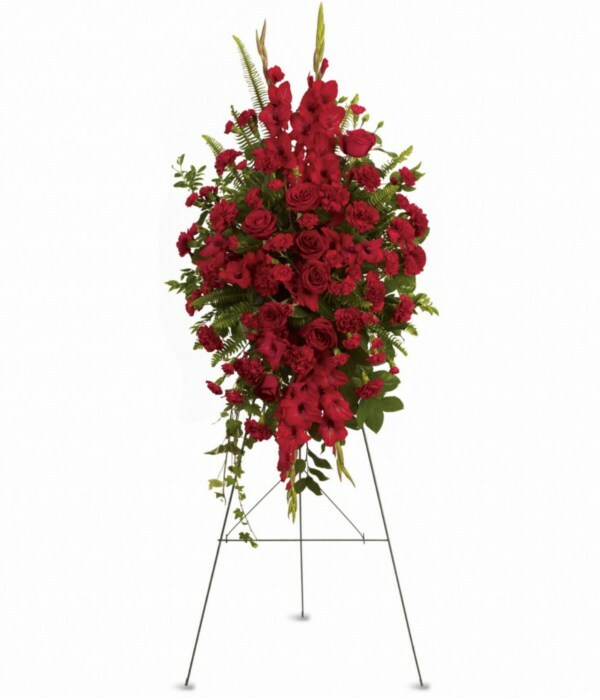 This elegant, lovely spray contains roses, carnations and other rich red flowers to convey sympathy during loss. It is sure to convey your meaning of support and care when times are difficult. Easel is not included.